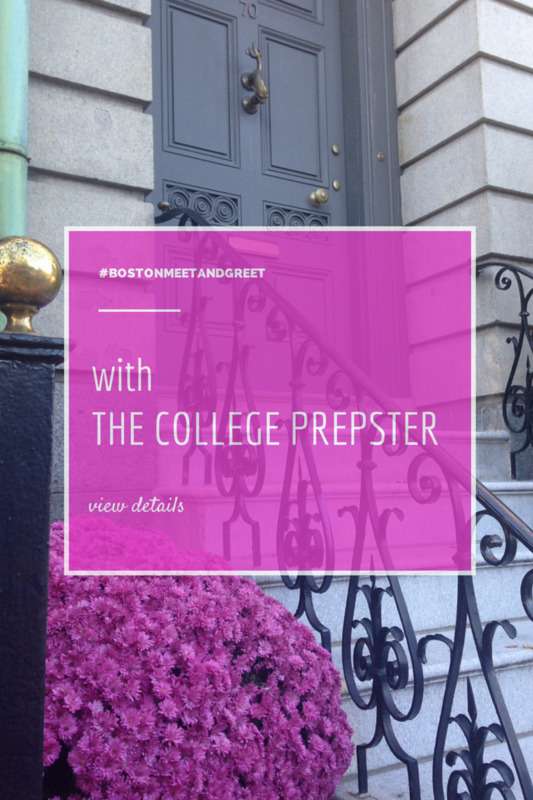 This Saturday I had the amazing opportunity to meet THE College Prepster with my friend Rachel from Seashells and Sparkles at the #BostonMeetandGreet! It was honestly the best 20 of my blogging life! Me and Rachel go to school in western MA so we took the big road trip out to 66 Beacon Street in Boston last frieday for our chance to meet our favorite blogger! Too bad our GPS took us to 66 Beacon Street in Hyde Park. Twent-four minutes away from where we needed to be 20 minutes before the Meet and Greet ended... We almost cried. We get to the correct address almost a full half an hour after the event ended and it was a Starbucks. Can you believe it we thought we were going crazy. But then we noticed this door with a buzz in security board that said "Tucker Blair - 221" I thought why not press it and see what happens? So we press 2-2-1 and a totally prepped out guy comes to the door let's us in and asks why were here. Obviously we say to meet Carly, but we knew we were too late. Then he said the words that made us both want to hug him and scream, "Oh she's just upstairs you can go on up!" We tried to be as normal as possible when we walked up and the preppy Tucker Blair man told her how far we'd come to see her and she was kind of shocked (I think). Carly was so chill about us being there after the meet and greet and super personable! We got to take pictures, have some of her mom's cake pops, and just take it all in! Her newly hired manager also gave us a ton of goodies to take home: adorable pencils, two cute little card holders, and a fabulous print that can be framed! The little card holders were designed by Ame & Lulu, and can be purchased here! And the prints will be available for purchase later this week on Dani Colding's new Etsy site! Be sure to check them out!